The recent outbreak of pneumonic plague in Madagascar presents a test case as to how well the international community has learned lessons from the 2014-2016 Ebola outbreak in West Africa. The similar context, epidemiology, and cultural impact of these diseases make these outbreaks somewhat comparable despite the biomedical differences between the two pathogens. This post will explore the similarities and differences between the two outbreaks and find some indications of lessons being learned. Plague and Ebola: Are they comparable? Additionally, the current Madagascan outbreak of plague is occurring in major cities. This is very different from the isolated rural areas of Madagascar in which Y. pestis is endemic. This novel epidemiological pattern was also seen in the 2014-2016 Ebola outbreak. While Ebola had recurred frequently in rural areas in Central Africa, 2014 was the first time the virus was known to have caused an outbreak in West Africa. And the West African outbreak quickly spread from rural Guinea to major cities such as Freetown in Liberia and Monrovia in Liberia. In fact, the rural-urban split was such that over 60% of cases in Sierra Leone came were in the Urban districts3. Furthermore, both Ebola and plague elicit very strong emotional reactions. Ebola has been sensationalized by popular books and major motion pictures (such as Outbreak). Its haemorrhagic symptoms, exaggerated in popular culture, instil fear and remain memorable as an object of cultural anxiety. Even though the Black Death ravaged Europe 650 hundred years ago during the Middle Ages, the havoc that disease wrought resonates even today. It lives on in much of European cultural history and is even the origin of the word ‘quarantine’. It is no surprise, then, that both Ebola and plague live in a cultural cognitive position which triggers a spate of existential dread. Despite these similarities, there are some obvious differences that affect the public health responses to these outbreaks. The first is that plague is a very different pathogen from Ebola. While Ebola is a virus, Y. pestis is a well-characterised bacterium. One important implication of this difference is that while treatments for Ebola remain elusive, antimicrobials to combat plague do exist.6,7 Plague is curable when caught early enough. This not only helps the response, but also reduces the heavy emotional burden placed on healthcare workers who felt helpless caring for Ebola patients without a treatment. The greater ease of diagnosing plague is another advantage that public health officials have in this outbreak compared to Ebola. A test in which an antibody strip is dipped into a patients’ sputum was developed in 2003 provides a diagnosis in just 15 minutes8. What this means is that suspected cases can be rapidly tested, and positives can be isolated incredibly quickly. Importantly, the dipstick test can also be conducted bedside or in the field, without the need for a laboratory or even electricity. This contrasts incredibly with the Ebola outbreak. No rapid, point of care diagnostic had been tested prior to the outbreak. Not only does a laboratory confirmation take hours, this assumes that samples can get from the field to the lab, and that there aren’t earlier samples holding up the queue. Finally, the geography of the two outbreaks also poses a significant difference to the public health response. One of the main factors which contributed to the spread of the Ebola virus in 2014 was the highly porous borders between Guinea, Sierra Leone, and Liberia. Highly mobile populations across the borders allowed for the Ebola virus to slip unnoticed. Public health responses, however, are not as easily moved across borders and coordinating across governments can be difficult and slow. Furthermore, the remoteness of some locations made it difficult to get supplies, personnel, and equipment to areas that need them. This contrasts with Madagascar which is an island off the coast of Mozambique and makes unchecked cross-border travel unlikely. For now the outbreak is contained on the island and a single suspected case in the Seychelles eventually turned out to be a false positive. How do the responses compare? How, then, do the early responses to these outbreaks compare given the similarities and differences between these diseases? First, WHO learned from its botched response to Ebola that it needs to respond more quickly and intensively in the early stages of an outbreak—before it becomes a public health emergency of international concern. As a result of the heavy criticism it receives for its late and slow response to Ebola, WHO has undergone a period of intense soul-searching, restructured its Health Emergencies Programme, and (unrelatedly) elected a new Director-General. In response to the plague outbreak in Madagascar outbreak, WHO has released USD1.5 million from its emergency fund and has sent plague specialists and epidemiologists to Madagascar9. Additionally, WHO has delivered 1.2 million antibiotic doses to the Ministry of Health for use both as a treatment but also prophylactically to prevent infection in healthcare workers10. While its delivery of antimicrobials is a facet unique to plague as opposed to Ebola, WHO’s early action is clearly an improvement over its early Ebola action. Additionally, WHO is providing personal protective equipment (PPE) to health professionals so that they can perform safe burials. This direct action harkens back to the multiple issues that WHO had with respect of burials during the Ebola outbreak, where West African burial practises (and a subsequent lack of community engagement on the issue) constituted a large portion of transmission. In this case, however, no reports have yet surfaced of conflicts between Madagascan cultural elements and the response. One report even said that Madagascans “began to relax in recent days amid the global response”9. An additional lesson from the Ebola outbreak being applied in Madagascar is the huge importance of community engagement as part of the public health response. Of the Madagascan plague outbreak, one spokesperson for International Federation of Red Cross and Red Crescent Societies told CNN, “It’s really about scaling up treatment and community awareness”11. The importance of community mobilization was a major component of the narrative surrounding the Ebola outbreak, so it’s fitting that it features in the narrative and response to the current plague outbreak too. The early response to this anomalous outbreak of pneumonic plague in Madagascar seems to suggest that lessons are being learned from the Ebola outbreak. While there are distinct differences between the two outbreaks – not the least the availability of rapid diagnostics to identify infected individuals and the availability of antibiotics to treat them – the broader context, the rapid response, and the engaging of local communities produce a cautious optimism for the future. Although if anything was learned from Ebola, it’s that there is still a long way to go. This case – with its point of care diagnostic, island isolation, and the capacity to vaccinate healthcare workers – is certainly a much simpler case than that of the Ebola outbreak in 2014. Testing post-Ebola lessons is certainly good practice, and looking more deeply at how post-Ebola reforms were operationalized in this outbreak will be required to fully assess whether effective lessons have been learned. 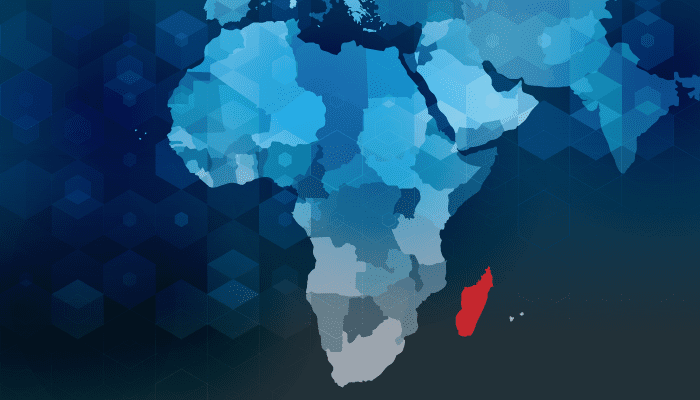 Plague Outbreak in Madagascar: External Situation Report. ; 2017. https://reliefweb.int/sites/reliefweb.int/files/resources/Ex-PlagueMadagascar18102017.pdf. Accessed October 18, 2017. CDC C for DC and P. 2014 Ebola Outbreak in West Africa – Reported Cases Graphs. CDC. https://www.cdc.gov/vhf/ebola/outbreaks/2014-west-africa/cumulative-cases-graphs.html. Published 2016. Accessed May 10, 2017. Lamunu M, Olu OO, Bangura J, et al. Epidemiology of Ebola Virus Disease in the Western Area Region of Sierra Leone, 2014-2015. Front public Heal. 2017;5:33. doi:10.3389/fpubh.2017.00033. The World Factbook — Central Intelligence Agency. Central Intelligence Agency (US). https://www.cia.gov/library/publications/the-world-factbook/fields/2226.html. Accessed October 18, 2017. UNDP UNDP. Human Development Reports. Human Development Index. http://hdr.undp.org/en/composite/trends. Published 2015. Accessed May 11, 2017.
WHO Ebola virus disease Fact Sheet. WHO. 2017. http://www.who.int/mediacentre/factsheets/fs103/en/. Accessed October 25, 2017.
WHO Plague Fact Sheet. WHO. http://www.who.int/mediacentre/factsheets/fs267/en/. Published 2017. Accessed October 25, 2017. Graham-Rowe D. Dipstick gives rapid plague diagnosis. New Scientist. https://www.newscientist.com/article/dn3279-dipstick-gives-rapid-plague-diagnosis/. Published 2003. Accessed October 18, 2017. ProMED-Mail Post: Plague – Madagascar (2017/10/17). ProMED-Mail. https://www.promedmail.org/post/5386317. Published 2017. Accessed October 18, 2017.
WHO provides 1.2 million antibiotics to fight plague in Madagascar. WHO. http://who.int/mediacentre/news/releases/2017/antibiotics-plague-madagascar/en/. Published 2017. Accessed October 18, 2017. Senthilingam M. Plague outbreak in Madagascar: 57 dead, 680 infected – CNN. CNN. http://edition.cnn.com/2017/10/16/health/madagascar-pneumonic-bubonic-plague-outbreak-continues/index.html. Published 2017. Accessed October 18, 2017. IFRC Press Release 18th October 2017: IFRC Secretary General visits Madagascar as Red Cross scales up plague response – International Federation of Red Cross and Red Crescent Societies. IFRC Press Release. http://media.ifrc.org/ifrc/press-release/ifrc-secretary-general-visits-madagascar-red-cross-scales-plague-response/. Published 2017. Accessed October 19, 2017. Madagascar: MSF provides support in tackling plague outbreak. MSF Press Release. http://www.msf.org/en/article/madagascar-msf-provides-support-tackling-plague-outbreak. Published 2017. Accessed October 25, 2017.